Leonard and I went to the Natural History Museum today as part of a Ward Outing. Susanna & Rachel were sick so Frances stayed home with them. We saw lots of exciting exhibits and Leonard really enjoyed showing some of the ward members around. Scene: Yosemite National Park, California. 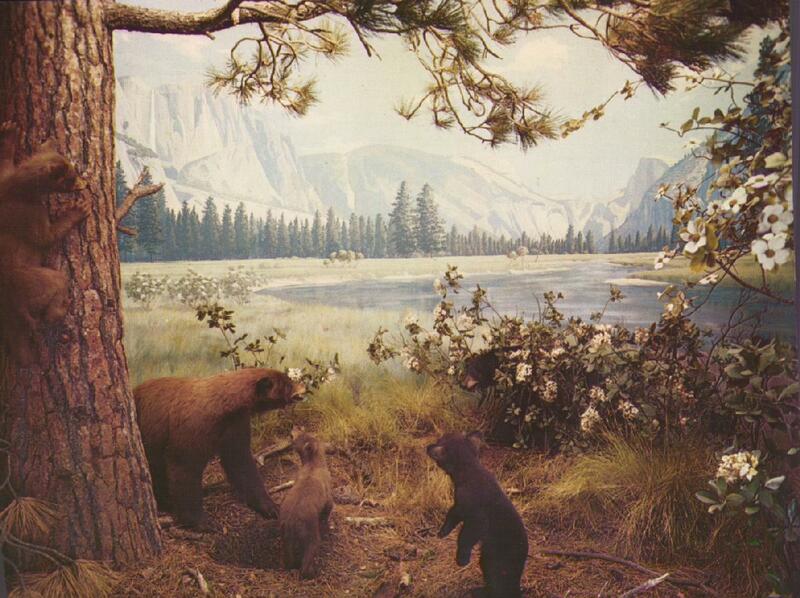 Habitat GRoup in the Hall of North American Mammals. 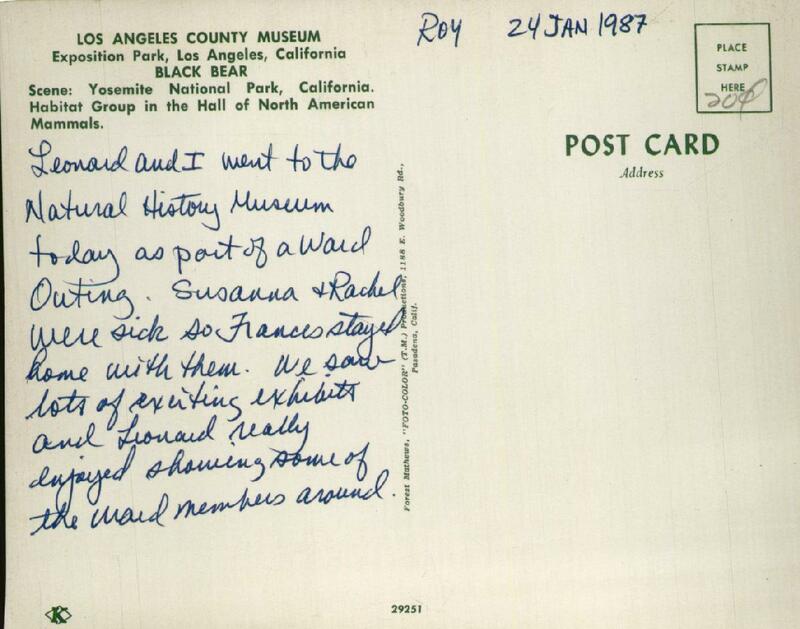 When I think "ward outing" I don't think "natural history museum", but OK.